We want as many of you to come as possible, so feel free to bring your own poker sets so we can get more games up-and-running at once! We will provide a set and chips for 2 tables of 6 people. See who else is going on our official Facebook event. 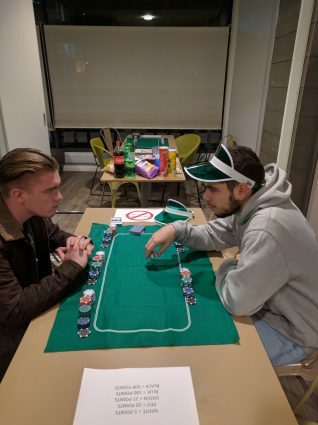 If you’re keen, hit ‘going’ so we know how many poker sets we can expect to need on the night. We are constantly seeking your feedback to ensure that we put on events you want to see. Let us know what you think at www.unionsouthampton.org/you-make-change so you can enjoy more nights like this!